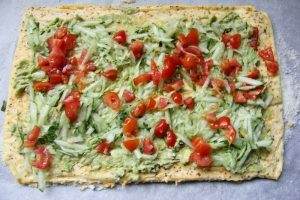 A keto avocado salad roulade that makes a great centre piece for lunch. It’s an easy healthy lunch to make and is served cold. 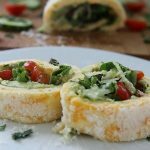 A roulade is a great low carb recipe and is as versatile as the fillings. It is just as easy as whisking egg whites. 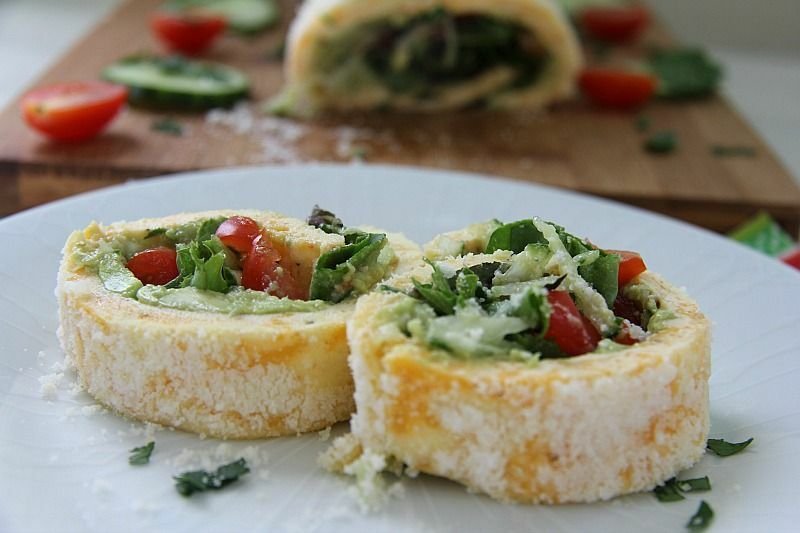 The filling for this avocado salad roulade can be changed to your own tastes. I was keeping it simple with avocado, cucumber, tomatoes and lettuce. 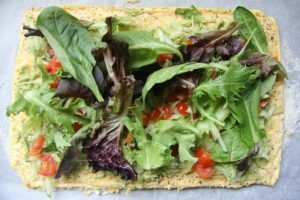 The lettuce is a must to give the filling a slight crunchy texture. Another filling idea would be avocado mixed with cream cheese and a few chopped jalapenos. 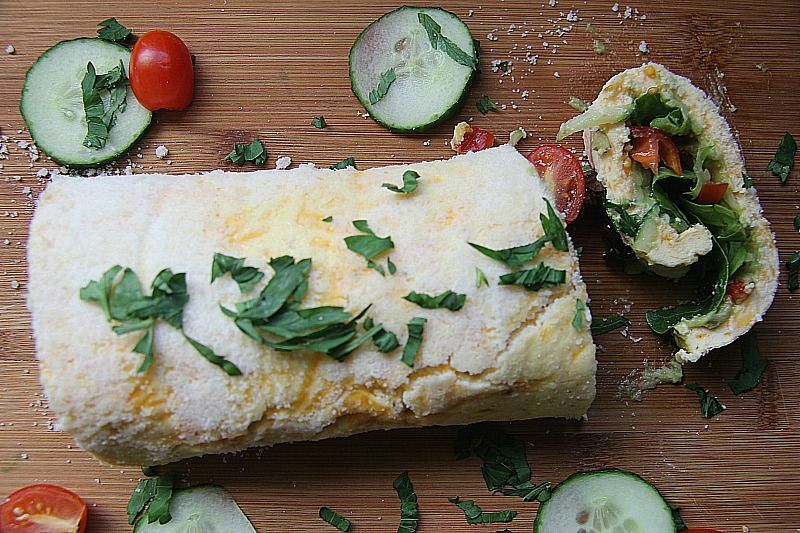 Or just add any leftover salad ingredients you have in the fridge, chop them up and serve in a delicious roulade. A creative avocado salad that makes a great centrepiece. 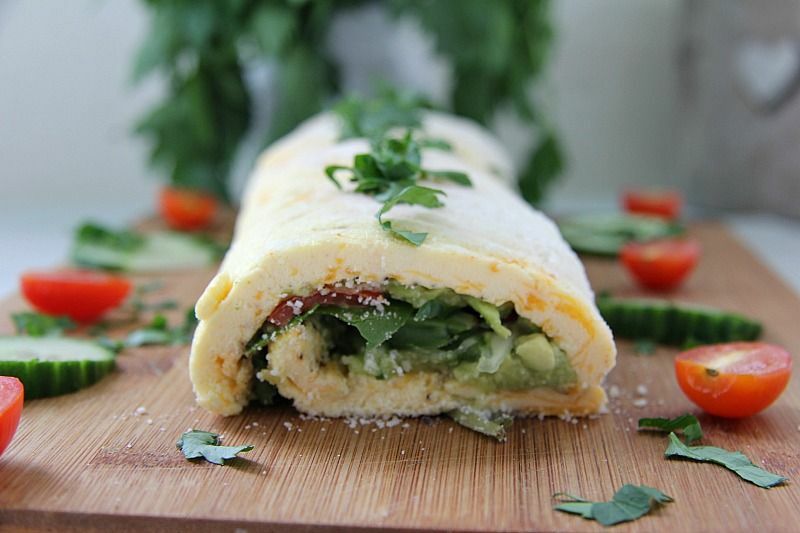 Beat the cream cheese and egg yolk together. Stir in the grated Cheddar cheese and the seasoning. In another bowl, whisk the egg whites until stiff peaks. Gently fold the egg whites into the cream cheese mixture. Pour into a parchment paper lined baking tray (rectangle). Sprinkle half the Parmesan cheese over the top and bake for 12-15 minutes. Place a piece of parchment paper on the kitchen surface and sprinkle with the remaining Parmesan cheese. Remove the roulade from the oven and place face down on the Parmesan covered paper and leave to cool. Remove the top paper. 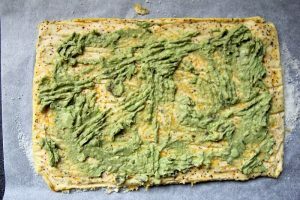 Spread the mashed avocado over the roulade. Then scatter the cucumber, tomato and salad leaves over the roulade. Roll up the roulade starting from one of the long edges, using the paper at the bottom to help roll it firmly.